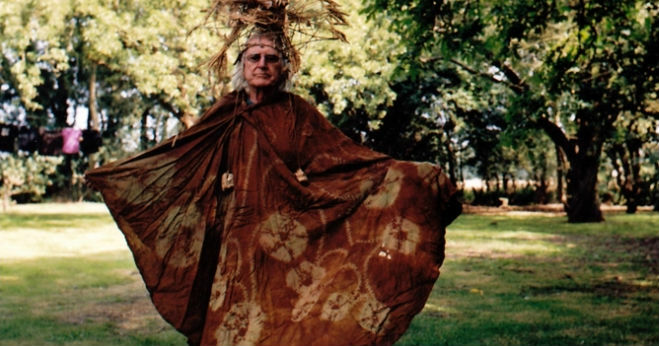 This in-depth documentary about a great living artist premiered at Brighton Festival not so long after network TV screened an in-depth doc about its maker Jeremy Deller. The results were two quite different films. But the subjects have more in common than both having worked together on The Bruce Lacey Experience. Like Deller, Lacey has fingers in many pies. As this documentary shows he is a musician, a builder of robots, an unrepentant stager of happenings and a former star of the Goon Show. But this is not the first time Lacey has captured the imagination of another creative spirit. A look at his Wikipedia page will tell you he is widely celebrated in music and film. Does Lacey join former miners, brass bands and wrestler Adrian Street in the parthenon of subjects pertaining to Jeremy Deller? Or has Deller become yet another footnote in the life of octagenarian Bruce Lacey, who by 1962 was already the star of a celebratory Ken Russell film? Perhaps it doesn’t matter. The Bruce Lacey Experience will surely bring the elder artist to a wider audience than Lacey can find in one of his regular appearances in the depths of Norfolk. Besides, the results look as if Jem has fixed it for his subject to complete a boyhood dream and take a spin in an RAF jet, or at the very least given him an excuse. Tracking shots of a model plane ‘flying’ around the Lacey home build to breathtaking footage from the cockpit of the real thing as it swoops over the English countryside. Silver Machine by Hawkwind plays. You may not even like Hawkwind (I don’t (yet)), but I would defy anyone not to be uplifted by this trip through an illustrious career. The Bruce Lacey Experience has its official premiere at the British Film Institute Southbank, London, on 5 July. Later in the month (from the 16th for three months) a show of Lacey’s work co-curated by Deller can be found at Camden Arts Centre, London.